Stand Your Ground (SYG) has been a widely debated topic across the United States, especially with the numerous high-profile cases involving self-defense. Approximately twenty-two (22) states have some version of a stand your ground law. As of today, the states that have SYG laws include Alabama, Arizona, Florida, Georgia, Indiana, Kansas, Kentucky, Louisiana, Michigan, Mississippi, Montana, Nevada, New Hampshire, North Carolina, Oklahoma, Pennsylvania, South Carolina, South Dakota, Tennessee, Texas, Utah, and West Virginia. Most Stand Your Ground laws change the common law requirement in self-defense, which requires a duty to retreat to the best of one’s ability before using force. All stand your ground laws have some form of “no duty to retreat” language in them. In Florida, a person who uses force in “justified” self-defense cannot be arrested, detained in custody, or charged and prosecuted. The new Florida Senate Bill 128 proposes to change some procedural aspects of SYG required to prove that the defendant qualifies for immunity. Being charged with a violent crime such as an assault, battery or homicide can be completely life changing, even if it is done in self-defense. Having an experienced criminal defense attorney to help explain Stand Your Ground law, and how it may apply to your case can alleviate some of the fear and stress caused by the trial process. Speak with the Pumphrey Law now for more information about the current status of stand your ground in Florida. Pumphrey Law is located in Tallahassee, Florida, just minutes from Florida State University. Call (850) 681-7777 to schedule a no obligations consultation about your case. In order to fully understand the significance of Senate Bill 128, you should understand the definition of “burden of proof.” Generally, the prosecution is tasked with the proving the defendant guilty. With such a “burden” falling on the State, the defendant does not have to prove or show anything. In Florida, self-defense is an affirmative defense. An affirmative defense is the defendant’s side of the story put forth, that if proven true, creates a justification for an otherwise unlawful act. As of now, the Florida Supreme Court, in its majority opinion in Bretherick v. State, 170 So.3d 766, (Fla. 2015), has set forth the procedure for asserting immunity under SYG. Under Bretherick, a defendant that claims immunity under SYG must prove by a preponderance of the evidence the entitlement to the immunity at a pretrial hearing. A preponderance of the evidence is a standard of proof that a proponent must meet in a pretrial hearing. The preponderance of the evidence is defined as “more likely than not.” Until SB 128 passes, a defendant must prove that it is more likely than not that he or she is entitled to immunity. As stated above, under Bretherick, a defendant has the burden of proving that he or she is entitled to immunity under Stand Your Ground. If Senate Bill 128 is enacted, then the burden shifts from the defendant to the State, meaning that the prosecutor will have to prove that the defendant is not entitled to SYG immunity. Additionally, Senate Bill 128 will change the standard of proof. Currently, the standard of proof is by a “preponderance of the evidence.” If SB 128 is enacted, then the standard of proof will be “beyond a reasonable doubt.” Beyond a reasonable doubt is a higher standard of proof than preponderance of the evidence. Therefore, the State will have to prove that the defendant is not entitled to immunity beyond a reasonable doubt if CS/SB 128 passes the Florida Legislature. Visit the official website of the Florida Senate to find out more information on the status of the upcoming changes to the Florida Stand Your Ground law sponsored by the Judiciary and Senator Rob Bradley (R). Visit Online Sunshine the official website of the Florida Legislature for the full statutory language of the current Florida Stand Your Ground law. Visit Forensic Engineering Technologies for more information about how their forensic investigators can detect various emotions on 911 emergency calls, such as anxiety, fear, anger, or aggressive intent. 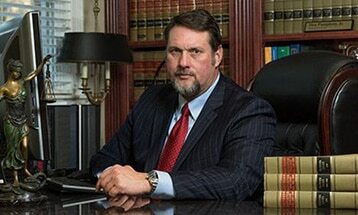 The Pumphrey Law Firm has used their experts in previous Stand Your Ground trials in Florida. Stand your ground is a difficult standard to prove. With the new changes emerging, your rights and duties under Florida law could change. Under these circumstances, it is imperative that you speak with a knowledgeable Florida criminal defense attorney who has handled defense cases for years. Speak with one of the attorneys at the Pumphrey Law Firm for more information about your case. Pumphrey Law represents clients throughout the Tallahassee, Florida area, throughout Leon County. Call (850) 681-7777 for a consultation about immunity under Florida Stand Your Ground.